Kathmandu, capital of the Federal Democratic Republic of Nepal is a place to visit today. Tourism in Nepal is 1375 years old, and the Nepal Tourism Board is 20 years young and on the roll. The People of Nepal are celebrating not only ringing in a New Year but December 31, 2018, is a special and historic day for everyone who is part of the Nepal Travel and Tourism industry. it appears Deepak has been giving it his best. Commemorating the two decades of successful partnership between the Nepal Government and private stakeholders, Nepal Tourism Board is celebrating its 20th Anniversary on December 31, 2018. During the Malla Dynasty ( 750-1480AD) westerners began coming to Nepal to spread Christianity. In 1792 Captain Kirk Patric, a British military official came to collect facts about Nepal. He wrote a book “An Account of the Kingdom of Nepal.” It helped to introduce Nepal to outsiders. in 1816 the Treaty of Sugauli was signed between Nepal and the British East India Company, marking the beginning of regular visit of British nationals to Kathmandu. In 1850-51 prime minister Junga Bdr. Rana visited Britain which brought the Kingdom of Nepal into the spotlight in Europe. In 1911 and 1921 King George V & Prince of Wales visited Nepal to hunt tigers. After 104 years autocracy of the Rana Regime ended in 1950. The development in Nepal slowly started taking place. A road network was established connecting Nepal with Indian Border cities., Only a handful of foreigners were given permission to enter Nepal. Most visits before 1950 were for trading, climbing and pilgrimage purpose before 1950. In 1952 the Swiss geologist Tony Hagen was employed by the Nepal Government to establish a map of Nepal. He traveled 14000km within Nepal. In 1953 Sir Edmund Hillary and Tenzing Norgay Sherpa climbed Mt. Everest and became was the first to do so. The 1950’s is considered the most important period in Nepal’s Tourism development. The role of mountain tourism was and still is very significant in the Nepal tourism sector. Tourism to Nepal began with mountain tourism. In 1955 the first tourist visa was issued to Russian citizen Boris Lisanevich, a legendary hotelier and pioneer in Nepalese tourism. He was invited by King Mahendra so British Thomas Cook tour-operator was comfortable enough to send tourists to Nepal. Boris established the first hotel and named it “Royal Hotel”. In 1955 the first private airline “Himalaya Airways” began its operations. In 1958 the Royal Nepal Airlines Cooperation (RNAC) (now NAC) came in operation. Nepal began direct air-links to Indian Cities. Nepal, a landlocked country became more accessible to the outside world. In 1964 Jimmy Robert established the first Travel agency in Nepal by the name “Mountain Travel Nepal”. The agency organized trekking and mountain climbing tourist packages. “Tiger Tops” in Chitwan National Park began promoting and conserving wildlife. Jimmy Roberts is considered as “Father of Nepalese Tourism. In the late 1960’s and 1970s hippies started to flow to Nepal. During those days Nepal was famous for hippies associated with marijuana and hashish. These drugs were easily available. In 1973 the Nepal government banned marijuana and hashish. It became a turning point for Tourism. Nepal tourism developed rapidly and became a hot spot for adventure seekers and cultural tourists. In 1998, Nepal Tourism Board was established in the form of partnership between the Government of Nepal and the private sector. The mission for NTB was to promote Nepal as an attractive tourist destination. The same year, Nepal celebrated “Visit Nepal 98” to strengthen Nepal tourism. From 1999 tourism started to decline because of a decade-long Maoist insurgency due to which negative message went viral all over the world. 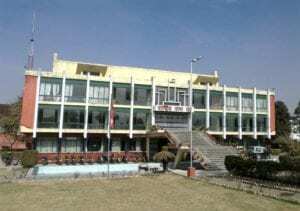 Other incidences like the hijack of Indian Airlines fleet from TIA (Tribhuvan International Airport) in 1999, the Royal Massacre in 2001 and King Gyanendra took over the power and suspending the constitution, affected the Tourism industry negatively. The historical Peace treaty agreement between Maoist and Government in 2006 was the biggest achievement and created a positive message about Nepal as a safe destination for travelers. In 2011, the “Tourism Year” was celebrated for the second time. On 25th April 2015, a devastating earthquake with a magnitude 7.8 shook the nation. About 600,000 structures in Kathmandu and other nearby towns were either damaged or destroyed. Among the sites destroyed were UNESCO Heritage Sites. Thousands of people became homeless while the death toll reached approximately 8,000. Gorkha was the epicenter of the earthquake and it was felt throughout the central and eastern part of Nepal as well as some parts in India, Bangladesh, Tibet, and Bhutan. Though Tourism Industry was badly affected as many historical places around the capital city were destructed and some trekking routes were closed, in mid-August, a new slogan “Nepal is Safe” started circulating in the international market for the promotion of the areas which were not affected by the earthquake. It included Pokhara, the Annapurna region, Lumbini and Chitwan. Today tourism recovered from the effects of the earthquake and Nepal’s tourism industry is coming out stronger than before. 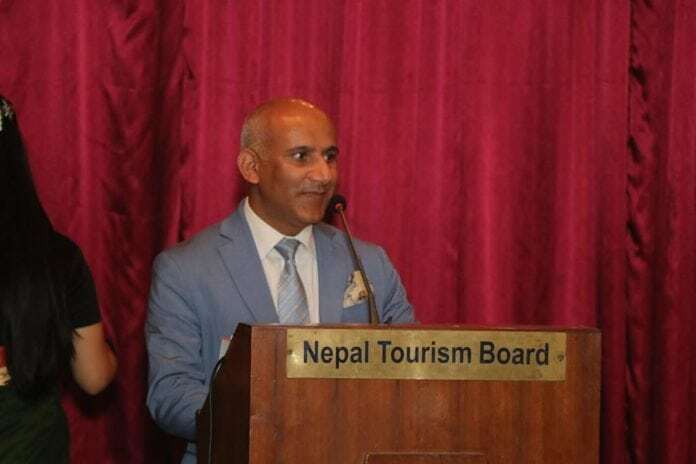 The Nepal Tourism Board as it is seen today after two decades of activities has expanded its scope of work and enhanced professionalism in various spheres of promotion and marketing along with the development of tourism products and human resources, as well as research activities. NTB was instrumental in celebrating various national campaigns like “Destination Nepal Campaign (2002-2003), “Visit Pokhara Year” 2007, “Nepal Tourism Year” 2011 and “Visit Lumbini Year” 2012. NTB celebrated international mega-events including the Golden and Diamond Jubilee of Mt. Everest, SAARC Car Rally, and Himalayan Travel Mart. The Nepal Tourism Board deserves appreciation in its efforts to increase the number of international tourist arrivals, which has succeeded one million in November this year. This number is now a benchmark and the begin for a new journey of achieving two million international arrivals in 2020. In 2020 the “Visit Nepal Year (VY2020) will be celebrated. eTurboNews publisher Juergen T Steinmetz said: “I know first hand how hard this dedicated team of the Nepal Tourism Board officials has been working to get positive awareness for their country to promote their unique tourism product. I’d like to congratulate Deepak and his team. We’re humbled to have been part of this success and remember the many events eTN organized for the Nepal Tourism Board. We made Washington DC Himalayan Friendly. We remember our splendid event in Boston. Travel professionals in California still talk about Nepal after we took over the Queen Mary in Long Beach. Nepal is a landlocked country in South Asia. It is located mainly in the Himalayas but also includes parts of the Indo-Gangetic Plain. With an estimated population of 26.4 million, it is 48th largest country by population and 93rd largest country by area. Click here for more news on the Nepal Tourism Board on eTurboNews.